In 2002, alternative CCM rockers Switchfoot cribbed some wider exposure from Mandy Moore, contributing tracks to her film Walk to Remember. It was a good fit, as the film, like the Foot, strode toward the mainstream without forgetting its good-hearted ideals. They returned in February 2003 with the slick modern rock missive The Beautiful Letdown, which promptly blew up the Christian charts and garnered Switchfoot an armful of Dove Award nominations. But, issued through Columbia Records instead of Sparrow, it was clear Letdown had designs on something larger than the CCM market. 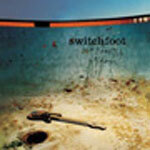 Thus a year later, in 2004, Switchfoot issued the album again. 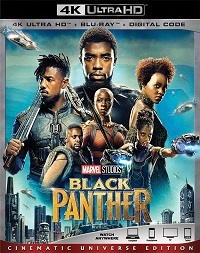 It's the same, though the mix is slightly tweaked and an unremarkable DVD with videos and some unreleased stuff appears, hoping to appease those who bought the thing once already. Musically, the album is kind of all over the place. But it's always melodic and well paced, and carefully emulates what's already worked for adult alternative. So, while "Meant to Live" approaches the chunky grandeur of Fuel, "Gone" is a winking sing-song of a thing that owes a huge -- huge! -- debt to Sugar Ray. There's also stuff like "This Is Your Life" and "More Than Fine," where slick electronic treatments accentuate Jon Foreman's slightly Bono-ish vocals. It's all tinged with the spirituality that's been Switchfoot's m.o. since the beginning; however, the band's work is too easily hooky and mature not to find favor with secular audiences. The meanest thing you can say about a gorgeously layered ballad like "Dare You to Move" is that it's more of a nice, warm Tuesday evening than the wee hours of a greasy Saturday night. But there needs to be gradation like this in rock, bands on both the good and evil sides of the coin trying to hold it down. And for their part, for what they do, Switchfoot is very talented. Here's hoping their polished halo brings its gleam to the mainstream.